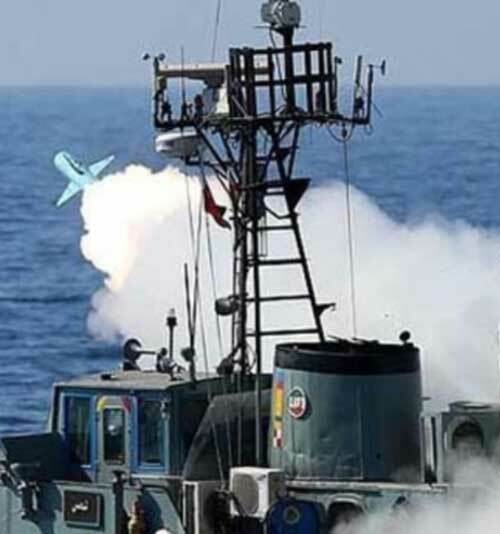 The Iranian naval forces test-fired the country’s latest torpedo product, Valfajr, during the massive wargames which took place last week in the Persian Gulf and the Sea of Oman last week, Fars News Agency (FNA) reported. The Iranian Navy’s Qadir-class submarines (which are equipped with sonar-evading technology and can fire missiles and torpedoes simultaneously) searched and traced hypothetical enemies’ targets using advanced radar systems and then destroyed them by firing Valfajr torpedoes. Furthermore, the Navy’s anti-submarine helicopters used tracking systems to detect subsurface targets in the drill zone and blew them up with their optimized torpedoes. The Iranian naval forces also conducted a mine clearance operation during the massive “Velayat 95” wargames, using sonic and magnetic demining devices. Mine sweeping and defusing by means of sonic and magnetic equipment and devices requires complicated technology that was just mastered and owned by the big powers, but the Iranian military joined the club in practice. The final stage of the “Velayat 95” naval drills started by Iranian navy forces in the Strait of Hormuz, the Sea of Oman and North of the Indian Ocean on 13 February and concluded on 01 March 2017. Different naval units, including submarines, missile-launching destroyers, surface and subsurface units, missile and electronic warfare systems, drones, fighter jets and marines, took part in the wargames. Iran unveiled and test-fired its anti-ship “Dehlaviyeh” missiles for the first time during the last phase of the wargames in Southern waters. The Iranian Navy also fired the latest version of its home-made coast-to-sea cruise missile, “Nasir”, during these drills. Iranian Defense Minister Brigadier General Hossein Dehqan told FNA that the cruise missile has hit the specified target with maximum precision. The Iranian marine commandos and special naval forces exercised operations to confront possible enemy aggression on coastal region of the country and used different weapons and equipment during the drills.